In the spring of 1993, a young married college student named Todd Jorgensen couldn't bear the thought of more government loans to live on. So relying on his artistic ability and determined to succeed, he designed a t-shirt for his fellow business management students. 45 days later, with the help of his wife and older brother, Todd had sold over 500 shirts to students all over campus! Confident in his experience and with nothing to lose, he decided to make his product available to schools all across America by launching CDI Sportswear. At first, college graduate programs such as law, nursing, and business schools were targeted successfully. Then at his mother's urging, Todd made his designs and shirts available to elementary schools. The results were astounding---literally hundreds of schools wanted his shirts. The growth of the business continued. But Todd realized that he could no longer operate the business by himself. So he hired several part-time college students before realizing that adding full-time staff to the business was the right move. The key employees that joined the growing business are: Darin Jorgensen, who was hired in 2000 to handle internal systems and accounting. Lance Jorgensen, who began full-time in 2003 to coordinate the creative direction of the company. Dianne Sorensen, an industry acquaintance, joined the team in 2007 to handle the incoming phone calls, faxes, and e-mails. 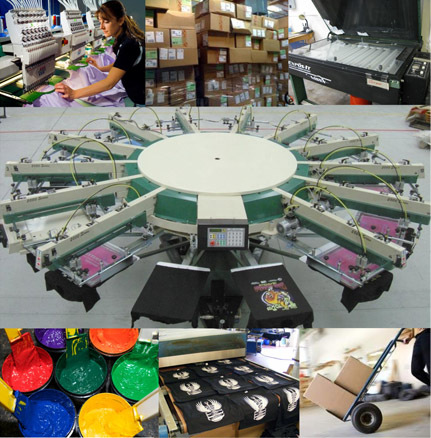 Today, CDI Sportswear's employees have over 100 combined years of textile industry experience. No other spiritwear company can match their level of expertise. The company proudly provides services to grade schools, junior high and middle schools, high school groups, and college programs all across America. Thousands of groups call on CDI Sportswear for their custom apparel. The success & growth of the company has been the direct result of hard work, devotion to old-fashioned core values, and a commitment to offer first-quality designs on the best products available. Part of the culture at CDI Sportswear is asking the question: Why offer average services and average designs when you can do much better than that? With so many years of experience working in the school markets, CDI Sportswear is an expert at providing custom apparel for school groups everywhere. We invite you to discover the difference that working with an expert makes. Choose CDI Sportswear for all of your custom screen-printing and embroidery needs. You will be glad you did! Todd grew up in Seal Beach, California and considers himself a beach bum in the very best possible sense! Before permanently moving to Utah in 1990, he served as an LDS missionary in Portugal, did his share of world travels, and received a Bachelor's Degree in Psychology. In 1993, while completing an MBA degree at BYU and facing the prospect of having to get a real job, Todd started CDI Sportswear. Todd is married to the former Stephanie Jessen and they have 5 very energetic children: 3 boys and 2 girls ranging in age from 15 to 6. Todd's duties at CDI Sportswear include marketing, strategy and product development. In his free time, Todd likes to play Frisbee anywhere but especially at the beach, watch movies with his family, make fruit smoothies, listen to great music and take fun trips. Darin grew up in Southern California, along with his 6 brothers and 2 sisters. After high school, he served an LDS mission in Argentina where he learned to speak Spanish. After his mission, he met his wife Jill. They were married in Los Angeles in 1997. He graduated in Accounting at DeVry University in 2001. Just before graduation, older brother Todd called and asked him to move to Utah to help grow CDI Sportswear. It wasn't a move Darin was expecting but was a great opportunity. 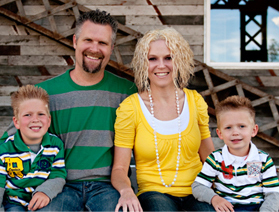 With his wife and two kids they moved their family to Utah to start a new chapter in life. 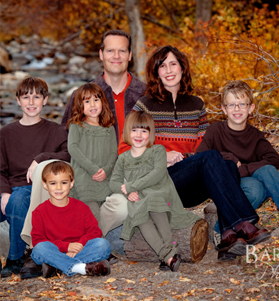 Almost 11 years later, Darin,Jill and their 6 beautiful kids (5 girls, 1 boy) are happy to be in Utah where they are so close to family. Darin likes to play all kinds of sports--whenever there is a call to play he is ready to go. Darin's hobbies are building model cars and making puzzle (3-D puzzles are his favorite--he has over 25 of them!) 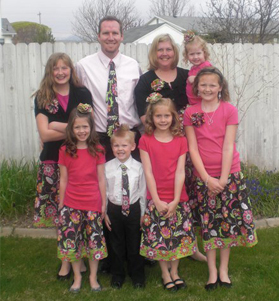 A large family was always something that Darin wanted. Besides handling the accounting at CDI, Darin has been working with clients since day one. He has a passion for making sure his clients get the best service and are informed of how they can make their sportswear a success. If it is to make money for their program or just provide a service to their fans and parents, Darin makes sure they have the tools necessary to make it a success. Lance was raised in Seal Beach, CA. He is the fourth child in a family of six boys and two girls. He served an LDS mission in Yugoslavia and Bulgaria and attended college at BYU. He has been working with the CDI Sportswear team for 8 years and has been involved with screen printing for more than twenty years. He and his wife Angela have two sons ages 6 and 4. They are lots of fun and keep them very busy. Lance enjoys playing sports and listening to music. Along with listening to music, Lance has been taking guitar lessons, plays the piano, and enjoys singing. He enjoys watching movies and spending time with his family. Lance is primarily responsible for the artwork and creative process in the office but also handles sales and customer retention. He has a great sense of humor and loves to quote funny movie lines. Ricardo Allende was born in Jalisco, Mexico but found his way to the United States for opportunities. He is the lead production manager for CDI Sportswear. Ricardo has been working in the custom screenprinting industry since 2000. His attention to detail is remarkable and his products look better than expected every time. 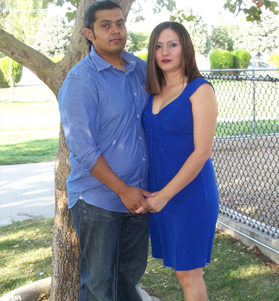 Ricardo is married to Carol Solorzano who has been involved in the apparel business for 5 years. They have two boys: Oscar and Aaron. Carol supports Ricardo in his production duties. Although Ricardo is a confessed workaholic, when he is not working he enjoys playing basketball and camping with his family. Ricardo's contributions to the quality of CDI Sportswear's final products cannot be overstated. He is quite simply as good a printer as there is in North America. 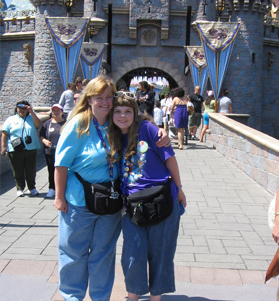 Dianne and her daughter Ashley love spending time together and laugh a lot! In their free time, they really enjoy playing board and/or video games, doing all kinds of new crafts together, and hanging out at Disneyland (whenever possible!) Family is very important to Dianne. Every now and then, she likes to blame her Danish heritage for being stubborn and comments how much patience she is still learning. She'll take good care of you every step of the way.